Annie Nollsch found the record for Henrietta Josephine Scott listed in Early Births in Van Zandt County 1872-1900 as child of T. F. and H. C. Scott. [S303] 1880 United States Federal Census, Database online. 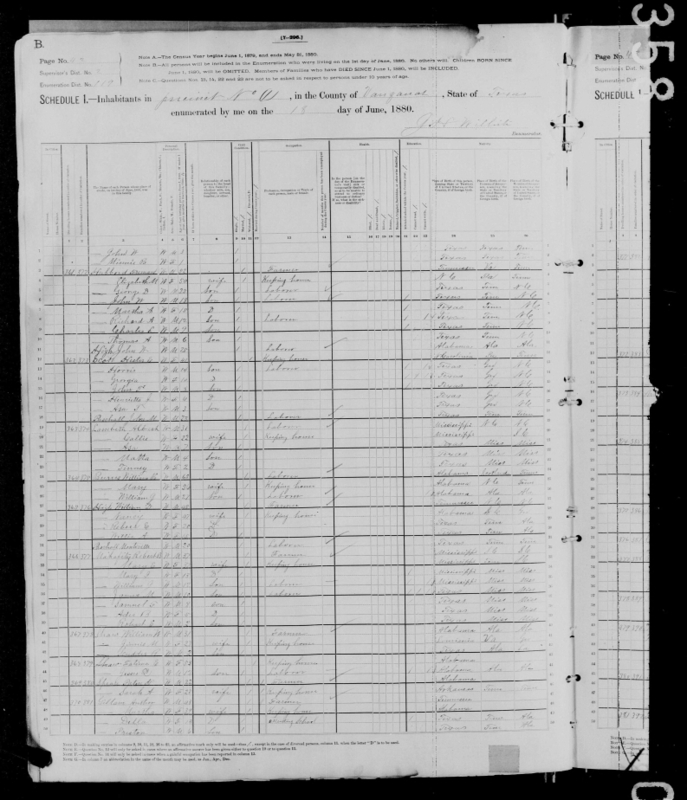 Year: 1880; Census Place: , Van Zandt, Texas; Roll: 1330; Family History Film: 1255330; Page: 19B; Enumeration District: 119; Image: .